Ohaus Pioneer PX84/E Analytical Balance 82g x 0.1mgOhaus PA84 Pioneer Analytical balances were designed for basic routine weighing in a variety of laboratory, industrial and education applications, the Ohaus Pioneer Analytical Balances have the right combination of performance and features at an affordable price. 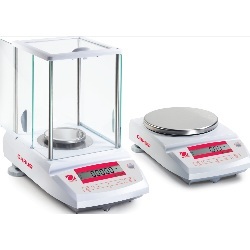 Cap: 85 g x 0.1 mg.
Ohaus Pioneer PX84 InCal Balance 82g x 0.1mgOhaus PA84C Pioneer Analytical balances were designed for basic routine weighing in a variety of laboratory, industrial and education applications, the Ohaus Pioneer Analytical Balances have the right combination of performance and features at an affordable price. Internal Calibration. Cap: 85 g x 0.1 mg.
Ohaus Ranger Count 3000 Scale 3 lbOhaus Ranger Count 3000 Counting Scale and displays the perfect blend of ruggedness for industrial environments and portability for operator convenience. A full numeric keypad provides instant counting capabilities. 3 x 0.0001 lbs. 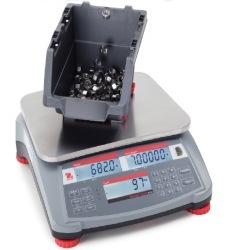 Ohaus Ranger Count 3000 Scale 6 lbOhaus Ranger Count 3000 scale replaces the EC3 Economy Counting Scale and displays the perfect blend of ruggedness for industrial environments and portability for operator convenience. A full numeric keypad provides instant counting capabilities. 6 x 0.0002 lbs. 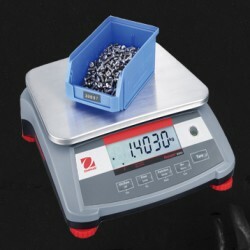 Ohaus SD200 Shipping Parcel Scales 12"x11"The Ohaus SD200 parcel scale with 440 pound max capacity is designed specifically with affordability, utility and everyday usage in mind. 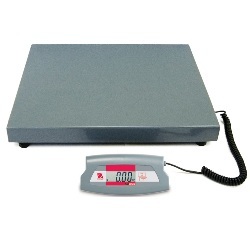 Ideal for home office, mail room, shipping and receiving, and general industrial dry weighing applications, the SD Series features a durable painted steel treaded 12.4" x 11" platform, a remote indicator with tactile function keys, battery operation and flexible mounting capability. 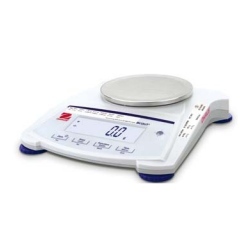 A truly portable scale that can be carried and operated in various locations. 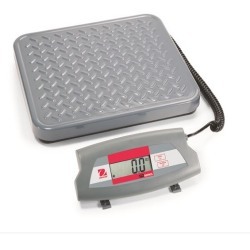 Ohaus SD200L Shipping Parcel Scales 20"x15"The Ohaus SD200L parcel scale with 440 pound maximum weighing capacity is designed specifically with affordability, utility and everyday usage in mind. Ideal for home office, mail room, shipping and receiving, and general commercial and industrial dry weighing applications, the SD200L features a durable 20.5" x 15.7" platform, a remote indicator with tactile function keys, battery operation and flexible mounting capability. 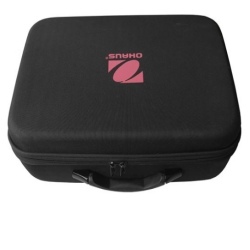 Ohaus SD75L Parcel Scale 20x15The Ohaus SD75L parcel scales with 165 lb. capacity are designed specifically with affordability, utility and everyday usage in mind. 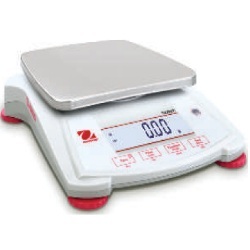 Ideal for home office, mail room, shipping and receiving, and general commercial and industrial dry weighing applications, the SDL Series features a durable 20.5" x 15.7" platform, a remote indicator with tactile function keys, battery operation and flexible mounting capability.